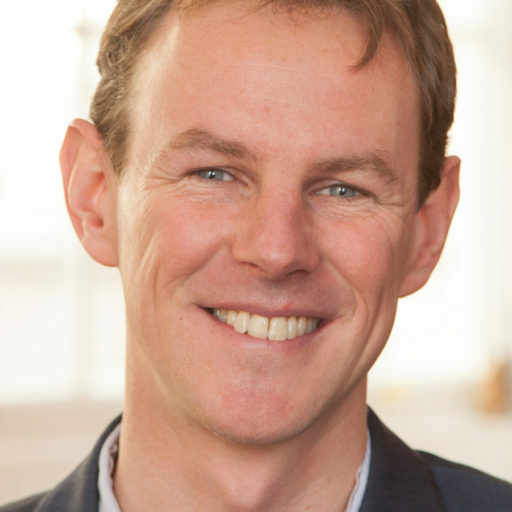 Ewan McGaughey ist Senior Lecturer an der juristischen Fakultät des King’s College, London und Research Associate am Centre for Business Research, University of Cambridge. Zu kontaktieren unter @ewanmcg oder ewan.mcgaughey@kcl.ac.uk. Could Brexit be declared void by a court, and article 50 revoked, if there were major irregularities in the vote? This discussion is real because evidence is emerging of possible fraud, and criminal acts by Vote Leave, Cambridge Analytica, and Aggregate IQ: illegal overspending, psychologically profiling and targeting people with online ads, based on stolen data. This issue has become even more serious because the legal opinion of three barristers is now public on how Vote Leave, and its organiser Dominic Cummings, committed criminal offences. This post unpacks the legal arguments on (1) whether the Brexit vote could be declared void for irregularity, (2) if article 50 notification could be revoked, and (3) the issue of foreign interference. It finally addresses the need to raise the integrity of our public discourse. A fundamental principle of the common law is that votes can be declared void for substantial irregularity. The leading case is Morgan v Simpson  QB 151. A candidate’s election to the Greater London Council was declared void after a mistake in stamping of ballots. Some votes were not counted. It affected the result. The Court of Appeal held an irregularity ‘which affects the result of an election is by itself enough to compel the tribunal to declare the election void’. Even if the result would not be affected, a ‘substantial departure’ from the rules, or the election being ‘conducted so badly that it was not substantially in accordance with the law’ will make a ballot void. These principles appear to apply to every irregularity, including political spending and foreign interference in votes. So could it apply to irregularities in the Brexit poll? The categories of wrong, and the remedy that votes ‘shall be declared invalid’ are partially codified in statute (e.g. Representation of the People Act 1983 s 23(3)). Like the Universal Declaration of Human Rights article 21, the right to free and fair voting is a ‘transcendent’ principle of UK law. There is no express provision in statute saying a referendum can be void for overspending because it is unneeded: it is a fundamental constitutional principle. The greater a vote’s impact, the greater must be a vote’s integrity. ‘No judgment of a court, no order of a Minister, can be allowed to stand if it has been obtained by fraud. Fraud unravels everything.’ Lazarus Estates Ltd v Beasley  1 QB 702, 712 approved in Prest v Petrodel Ltd  UKSC 34,  and . This is why the alleged and coordinated overspending of Vote Leave matters: currently the allegation stands at £625,000 worth of overspending in a £7 million limit (8.9%). It does not matter if separate legal entities did the spending because, with collusion, ‘fraud unravels everything’. The overspent money in the Brexit poll went into online ads that targeted people based, according to evidence heard by a House of Commons Committee on 27 March 2018, on stolen Facebook data, without consent or knowledge of UK voters. Cambridge Analytica sold the data to a Canadian corporation, Aggregate IQ Ltd (from p.10 hearing docs). Dominic Cummings for Vote Leave hired Aggregate IQ to target 6 million UK voters. This used the most psychologically manipulative technology known. It is alleged that they had a common plan to exceed spending limits. Can it be proven that overspending changed the result of the Brexit referendum? By the numbers the answer could very likely be ‘yes’. Just 634,751 out of 33.5 million voters (1.8%) needed to switch to leave over remain. Causation cannot be certain. But faced with uncertainty causation is proven not on the ‘balance of probabilities’, but by whether an action ‘materially increased the risk’ of a wrong: Fairchild v Glenhaven Funeral Services Ltd  UKHL 22, . If a court asked, ‘did overspending by Vote Leave materially increase the risk of Brexit’, what would the answer be? Surely the answer must be ‘yes’. Arguments could be raised against declaring the referendum result void. First, it could be argued that ‘Remain’ broke the rules in its campaign. Credible evidence of this does not exist. But if something did transpire, this would make the vote even more corrupt. Two wrongs make everything wrong. Second, the European Union Referendum Act 2015 Schedule 3, para 19 does restrict judicial review to question the number of votes cast to a 6 week limitation period. But this has no effect on irregularities that do not question the number of votes cast, including overspending, or indeed foreign interference. Third, the Civil Procedure Rules, rule 54.5(1)(b) limit an application for judicial review to ‘3 months after the grounds to make the claim first arose’. But that date is not the act of overspending, rather than when evidence comes to light or proves true. Fourth, it might be argued there is no legal act that a court can declare void (like in a local election) because the Supreme Court acknowledged (albeit in passing) that the referendum was advisory rather than having a legal effect: R (Miller) v Secretary of State for Exiting the EU  UKSC 5, . This misses the point that a public body, the ‘Chief Counting Officer’, did declare a result and this act, however ‘advisory’, was taken into account by the Prime Minister when triggering article 50. This would be the true target, and triggering article 50 certainly has a legal effect. If a court can declare any corrupt vote void, and did so for the declared result of the Brexit poll, this can affect how the Executive lawfully exercises its discretion. Under the EU (Notification of Withdrawal) Act 2017 section 1, the Prime Minister was explicitly delegated a ‘power’ by Parliament to ‘notify’ the UK’s ‘intention to withdraw’ from the EU, and proceed with negotiations. If a substantial irregularity suggested that one side (or all sides) cheated, it follows that Vote Leave did not win. Exercising the power to notify would become irrational, and take into account an in irrelevant factor: Britain would not have voted to leave the EU, any more than Lance Armstrong won the 2005 Tour de France. But would nullifying article 50 notification not interfere with Parliamentary sovereignty, and a declared will in the 2017 Act to leave the EU? The answer must be no. In the UK constitution courts do not strike down Acts of Parliament, but they absolutely control the Executive’s decision to notify or negotiate to leave the EU based on a corrupt Brexit vote. This is all the more important because ‘it is a vain thing to imagine a right without a remedy’, for fair votes in a democratic society: Ashby v White (1703) 92 ER 126, 137-139, per Lord Holt CJ. There is a debate about whether the UK may unilaterally revoke notification of article 50, which need not be rehearsed but for three main points. First, a decision and notification to negotiate to leave the EU under article 50 must follow the UK’s ‘own constitutional requirements’. If the Brexit vote is void according to our constitution, notification is necessarily void. Second, if the matter is viewed as an international law issue, the Vienna Convention under articles 37 or 68 is completely clear: one may revoke a notification to renegotiate before it takes effect. Third, even if notification to leave were a question of EU law, the answer the Treaties require must be one that holds the EU together for ‘an ever closer union among the peoples of Europe’ (Treaty on European Union, article 1) not one that allows Europe to be torn apart. The foregoing case deals with overspending. But elections can also be void for irregularity if there are broadcasts ‘to influence persons to give or refrain’ from giving their votes ‘from a place outside’ the UK (Representation of the People Act 1983 s 92). This expressly applies to the Brexit poll: SI 2016/219, Sch 1, para 21. Broadcasts are defined to include any ‘programme’ of ‘sound or visual images’ on an electronic communications network. It is clear there were broadcasts by Russian bots on Twitter. Youtube has stayed silent about its network, while Facebook has issued denials that it was exploited – even though Russian bots were targeting American voters. Youtube and Facebook have not yet been forced to disclose data about activity on their platforms. If there were dark-broadcasts, and disappearing bots, the ripple effect of their actions is incalculable. Then there are allegations about the reported £435,000 donation from Saudi Arabia to the DUP to be used in Brexit. The resource-starved Electoral Commission is nowhere near completing an adequate investigation. If the law is not enforced, the rule of law is in jeopardy. Finally, although ex-CEO Alexander Nix denies that Cambridge Analytica LLP was involved in Brexit, at least three ex-employees said it was. Cambridge Analytica LLP was a Delaware corporation that did UK work. Its parent, SCL Group Ltd is a UK corporation that does American work. A US firm interfering in UK votes is illegal. So is a UK firm interfering in US votes. If the allegations prove true, this means a considerable number of criminal offences are on the table. There is no question that the referendum unleashed an ugly, strange divisiveness, but it can be stopped. It is said that courts insisting on the rule of law are ‘enemies of the people’. But those who bluster are a small minority compared to those who listen. Most people voted for Brexit because they are honest: they believed promises and arguments about the EU’s democratic deficit or investing in the NHS. It is clear that certain organisers of Brexit were prepared to say anything, do anything, with anyone’s support, to get the result. We need to raise the integrity of public discourse, so this can never happen again. SUGGESTED CITATION McGaughey, Ewan: If 'Vote Leave' Broke the Law, Could Brexit be Void?, VerfBlog, 2018/6/08, https://verfassungsblog.de/if-vote-leave-broke-the-law-could-brexit-be-void/, DOI: https://doi.org/10.17176/20180611-100523-0. With respect, while it may be possible to get the result of the referendum be declared void, there is no universe in which that makes the art. 50 notification irrational. That said, any litigation around this issue might be interesting because it might force the government and the courts to engage with the question who exactly decided that the UK would leave the EU, and when. Because it certainly wasn’t the British people in the referendum. But was it Parliament in adopting the EU (Notification of Withdrawal) Act 2017 or the government at some point before or after that? I have lived outside the UK for 26 years or so, in another EU land, living the European dream, with a British passport. When the Brexit referendum was announced I was disgusted to find out that myself along with about 2.5 million expats all over Europe were being denied the right to vote. This was a European question, and us European British were not allowed to have our say. I myself lost so many "So called friends" during the referendum, when I tried to point the blatant lies that were being told by the leave campaign. it was as if these people had been brainwashed. Europe was to blame for anything bad. The fact that the British government and it’s people had brought the country to it’s knees long before any of this Brexit business was heard of, was of no concern. Europe was to blame! I could go on and on about this. I became so tiered of all of this, that I, like millions of other ex pates took on the nationality of the European countries we live in, to remain European. Because our country "Let us Down" big style! Shame on that point of being an Expat i was too denied a vote. worse is because i have no vote no poltician in germany or the UK cares or feels responsible to what happens to us after Brexit. This is not democracy in my opinion its almost dictatorship. Why? Because for many Democracy doesnt exit. After 29 march 2020 million of Brits will not voting rights ANYWHERE! update in the near future? the UK High Court on 12th June re Webster? revocability of an article50(2) notice? and if so what effect will it have? be regarded other than as justice denied.